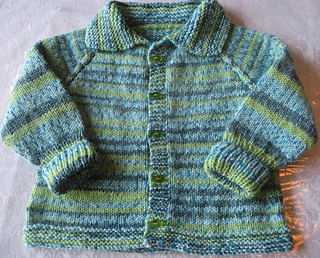 A quick and easy jacket, knit from the TOP DOWN. 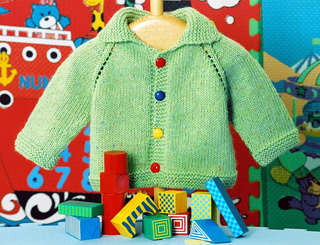 An excellent project for your first sweater as it knits up quickly! 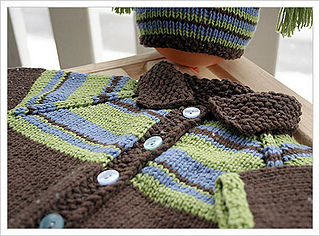 Perfect for the new arrival or a special toddler. Sizing for 3 months to 2 years. Sizes 3-6 mos and 6-12 mos use 2-100 gm balls. Size for 2 year uses 2.5-100 gm balls. 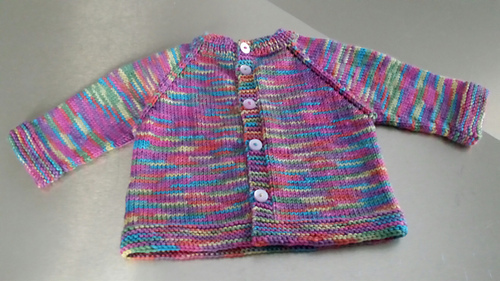 Knit TOP DOWN in ONE PIECE with NO SEWING.